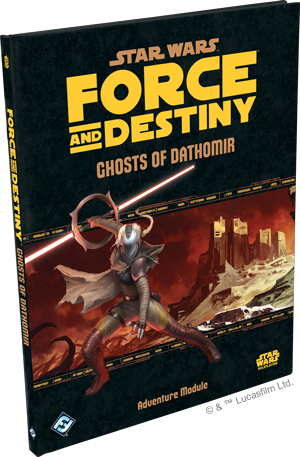 Ghosts of Dathomir, an all-new adventure for the Star Wars™: Force and Destiny roleplaying game, is on sale now in the Fantasy Flight Games online store and at your local retailer. With the Jedi Order abolished and the Jedi all but extinct, now is a dangerous time to be a Force user. 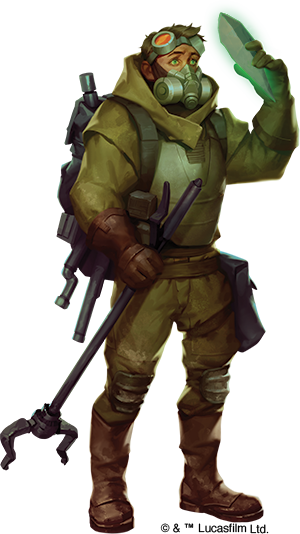 Seeking the remnants of Jedi teachings and chasing the whispers of artifacts while avoiding Imperial persecution would be difficult enough, but young Force adepts have to contend with the temptation of the dark side. Ghosts of Dathomir places you on the hunt for a statue rumored to have ties to the Force, ties so powerful that its discovery could lead you to a greater understanding of the Force… or to your annihilation. The statue is called Tragic Hope, and it has popped up for auction on the Hutt-controlled world of Toydaria; of course, your party are not the only people interested in the artifact. A ruthless mercenary named Jerserra has left a trail of bodies throughout the Mid and Outer Rim territories as she builds up her crime network, and she seeks the statue with a fervor that suggests something personal is at stake. The Empire has their eyes on Jerserra, and Hutt spies are everywhere across Toydaria. Can you navigate the criminal underworld and escape unscathed to discover what ties this statue to the Force and learn how the dread world of Dathomir is involved? Your party will find themselves en route to Toydaria at the start of Ghosts of Dathomir, searching for an exotic items dealer named Walisi. But Walisi has gone missing, and so has Tragic Hope. 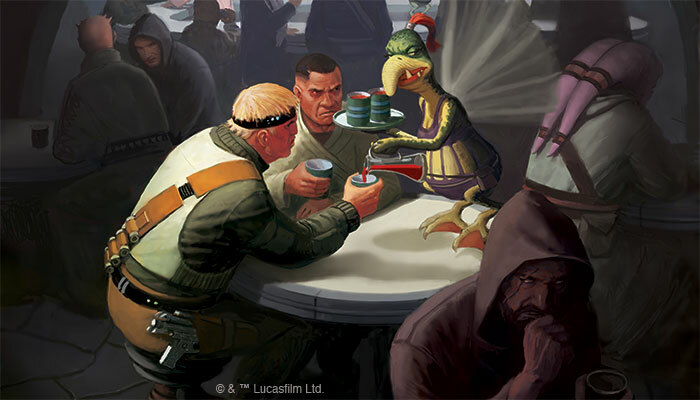 Unfortunate yes, but hardly surprising; even the most legitimate of businesses have dealings with the criminal underworld in the Mid and Outer Rim, and Walisi is no exception. His ties to the Gorensla Hutt Kajidic ensure that you won't be alone in searching for him; you will have to be cautious to avoid involving yourself in the middle of long brewing conflicts between the Hutt crime families. Tread too carefully, though, and Jerserra could slip away with the statue, and that’s not an outcome anyone wants to see. By wielding the double-bladed lightsaber of the Empire's Inquisitorius Jedi hunters, Jerserra surely conjures up thoughts of the dark side, much like the barren and mysterious Dathomir. 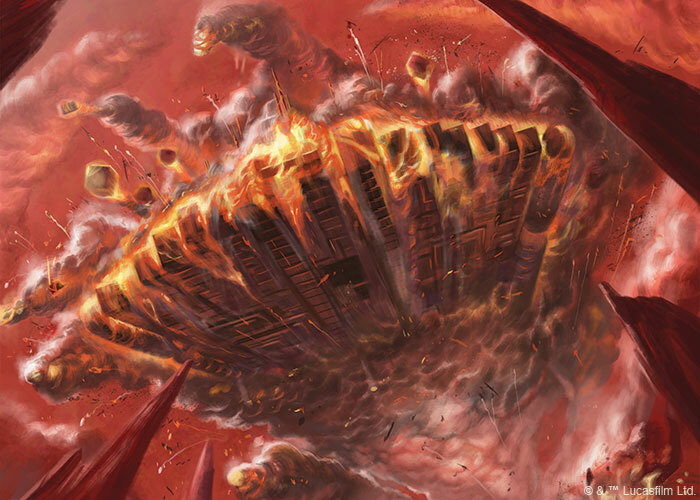 Rumored to have once been populated by a group of unique Force users called the Nightsisters—neither Jedi nor Sith—Dathomir is now a mostly desolate planet, scarcely visited after the disaster at the Oteroan Zero-Twenty mining colony. What is it about Tragic Hope that will lead you to Dathomir? And can the rumors of ghostly apparitions around the abandoned mining colony be believed? Star Wars: Force and Destiny introduces adventurers to both sides of the Force, to the Jedi and the Sith, but the reality is that the galaxy is much more complex. Delve into Ghosts of Dathomir and recover Tragic Hope to discover its ties to the Force. Confront the mysterious and violent Jerserra before she discovers how to unleash the forces dormant in the artifact and continue her quest for power. If you come out alive, you may even learn a new Force power. Ghosts of Dathomir (SWF40) is available now; start your adventure!